I am kind of obsessed with the buffalo flavor. I love it. I’m also obsessed with paninis. 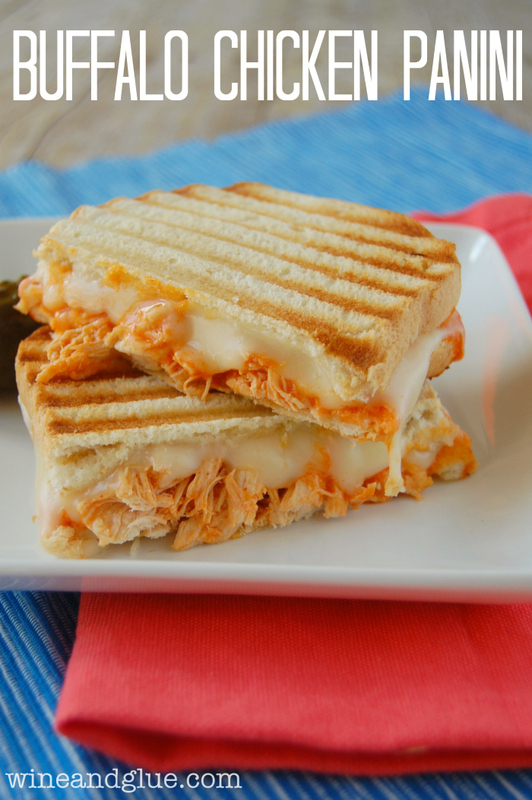 Do you have a panini press? You don’t? Okay, I know that a lot of people don’t have a panini press. And I know that a lot of people would read this and probably think, how is a panini so different from grilled cheese?? Okay, that’s a little hard to answer. I guess the biggest difference is texture. I love a good grilled cheese, but I feel like it’s hard to keep them from burning, and maybe I’m making them wrong, but I feel like they usually come out super greasy. Paninis are different because you are left with a crispy dry sandwich on the outside and a beautifully delicious and melty sandwich on the inside.